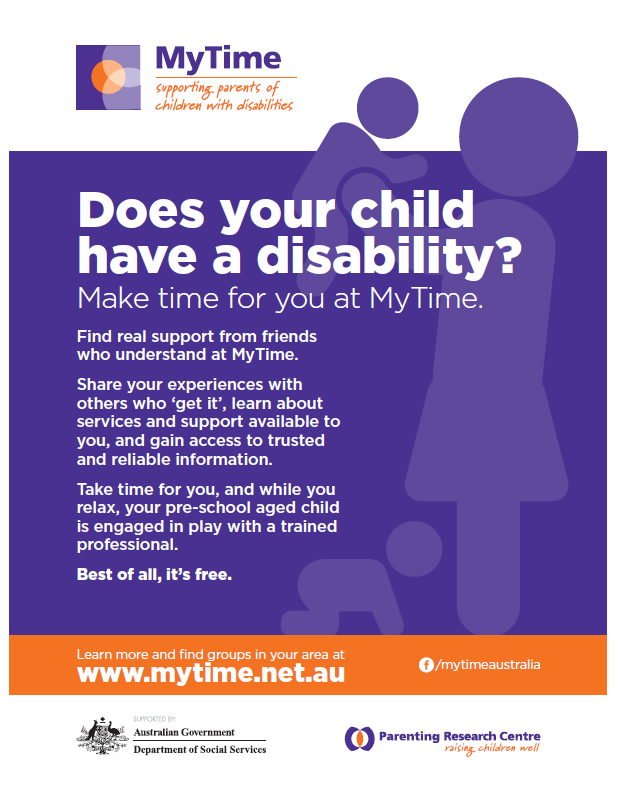 MyTime Meets Here - these resources can be used at your group venue to let people know when the session is running, or left out to promote the groups. They also have space for you to put information like contact details or group days and times. Events banner - this design can be taken to printers to produce fabric pull up banners for your events. Term planner - use this to keep all your members informed of whats coming up, and let potential members know what happens in MyTime sessions.